Almost all new cars on the road today come with some type of transponder key. 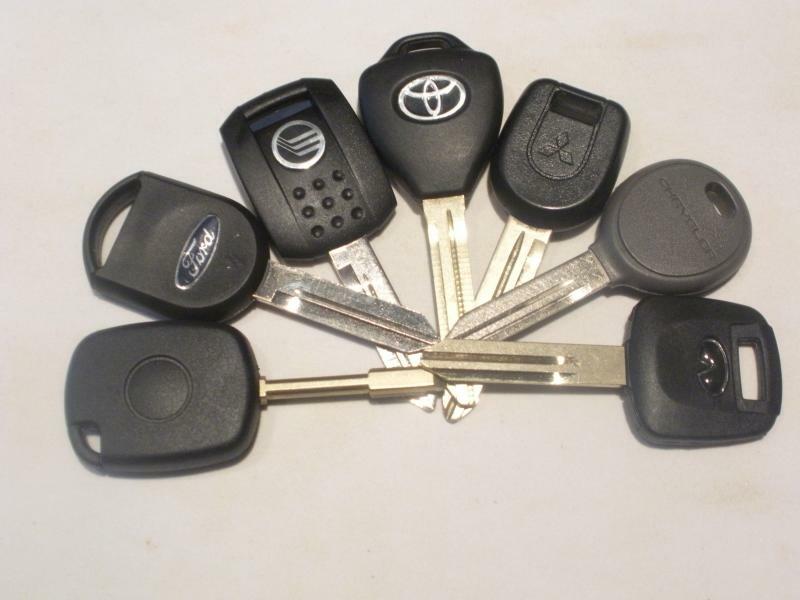 Most popular car manufacturers make use of transponder keys. Transponder keys are used to prevent the car from being hot wired. The car will not start if the device at the switch does not detect the low level signal from the key. If a copied key is used without the proper signal, the car will not start. If someone tries to hot wire the car, the car will not start because there is no signal from the key. We can replace and repair most transponder keys at a much better rate than agents. We have equipment and can come out to you where ever your vehicle is, to clone you a new key. In some instances the vehicle must be towed in. We can supply vehicle replacement keys for most vehicles, but sometimes we have to rely on agents for the remote units. The equipment to duplicate transponder keys is expensive and as new model vehicles is released on a monthly basis, software have to be upgraded which further adds to cost. If you've lost your car keys and have no spares, do not despair. Our car locksmith can provide you with vehicle replacement keys cut from the chassis number of your vehicle. You can get the chassis number off your registration document (log book) and may need to provide it as proof that you are the genuine owner of the vehicle. Some garages may ask for 2 forms of ID in addition to the log book. Just because you don't have a remote control style key with a battery in it doesn't mean the key does not have a transponder chip. Transponder chips do not require battery power as they are energized when inserted into your vehicle's ignition. In non-remote control keys the chip will be buried within the solid plastic key housing and is not accessible.